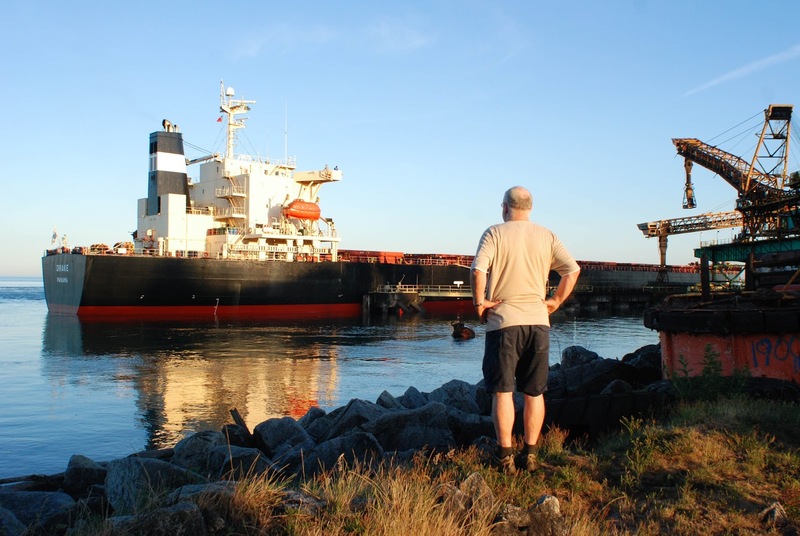 Ministry to Seafarers is an organiation under the CRC that exists so serve the seafarers whose ships dock at Roberts Bank and Vancouver. Our chaplains visit ships to help with the needs of the seafarers and offer the use of one the two Seafarer centres. Since 1993 Ministry to Seafarers works in partnership with Mission to Seafarers in Vancouver, an Anglican organization that has been serving the seafarers coming to Vancouver for over 100 years. This website has blog updates made by Ernst Devries, the full time chaplain for Minisry to Seafarers. To learn more of the history you can click here. To see more about the mandate we have to serve the seafarers click here. Ernst bidding fairwell to another ship before the tug boats lead it from Roberts Bank.